Billionaire founder of Amazon, Jeff Bezos has said he prefers “to stand up, roll this log over, and see what crawls out” after National Enquirer, a media outfit owned by American Media, Inc. (AMI) threatened to publish embarrassing photos of him. 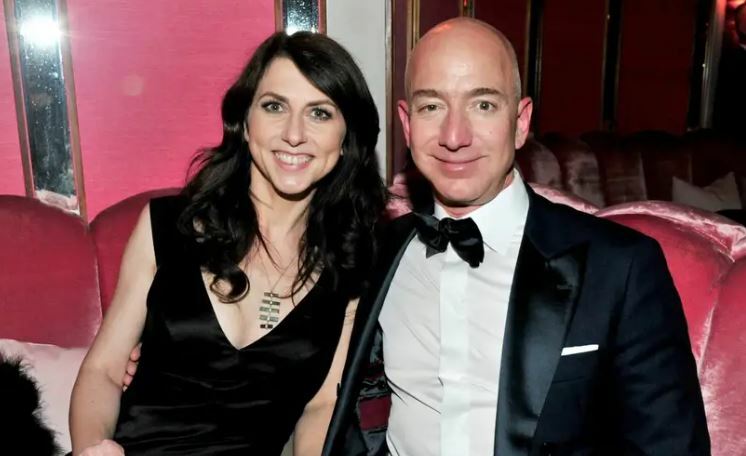 TheNewsGuru (TNG) reports Bezos, who jointly with MacKenzie, his ex-wife, announced their divorce recently, and who has been reported to be secretly dating a married former TV presenter, stated this via a Medium post on Thursday. Bezos, who revealed several emails emanating from AMI, the owner of the National Enquirer, led by David Pecker, said he did not know much a few weeks ago when intimate texts messages from him were published in the National Enquirer. “Something unusual happened to me yesterday. Actually, for me it wasn’t just unusual — it was a first. I was made an offer I couldn’t refuse. Or at least that’s what the top people at the National Enquirer thought. I’m glad they thought that, because it emboldened them to put it all in writing. “I didn’t know much about most of that a few weeks ago when intimate texts messages from me were published in the National Enquirer. I engaged investigators to learn how those texts were obtained, and to determine the motives for the many unusual actions taken by the Enquirer. As it turns out, there are now several independent investigations looking into this matter,” he said. He further stated that “Several days ago, an AMI leader advised us that Mr. Pecker is “apoplectic” about our investigation. For reasons still to be better understood, the Saudi angle seems to hit a particularly sensitive nerve. “A few days after hearing about Mr. Pecker’s apoplexy, we were approached, verbally at first, with an offer. They said they had more of my text messages and photos that they would publish if we didn’t stop our investigation. “My lawyers argued that AMI has no right to publish photos since any person holds the copyright to their own photos, and since the photos in themselves don’t add anything newsworthy”. “I founded Amazon in my garage 24 years ago, and drove all the packages to the post office myself. Today, Amazon employs more than 600,000 people, just finished its most profitable year ever, even while investing heavily in new initiatives, and it’s usually somewhere between the #1 and #5 most valuable company in the world. I will let those results speak for themselves,” he said. After receiving threat to publish intimate photos of him, the Amazon founder said, “Well, that got my attention. But not in the way they likely hoped. Any personal embarrassment AMI could cause me takes a back seat because there’s a much more important matter involved here. “If in my position I can’t stand up to this kind of extortion, how many people can? (On that point, numerous people have contacted our investigation team about their similar experiences with AMI, and how they needed to capitulate because, for example, their livelihoods were at stake)”. Bezos stated that in the letters AMI allegedly sent to him, which he made public, precise details of extortionate proposal could be seen. “If we do not agree to affirmatively publicize that specific lie, they say they’ll publish the photos, and quickly. And there’s an associated threat: They’ll keep the photos on hand and publish them in the future if we ever deviate from that lie. “Be assured, no real journalists ever propose anything like what is happening here: I will not report embarrassing information about you if you do X for me. And if you don’t do X quickly, I will report the embarrassing information. “Nothing I might write here could tell the National Enquirer story as eloquently as their own words below. “These communications cement AMI’s long-earned reputation for weaponizing journalistic privileges, hiding behind important protections, and ignoring the tenets and purpose of true journalism. “Of course I don’t want personal photos published, but I also won’t participate in their well-known practice of blackmail, political favors, political attacks, and corruption. I prefer to stand up, roll this log over, and see what crawls out,” he stated.